I am a COACH and one of my divers selected the wrong team for their meet. How do I change that? 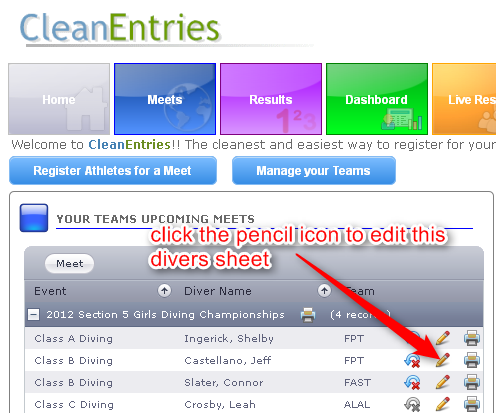 In order to change the team for a diver who is already registered for a meet you need to edit that divers registration for one of their events. Changing it for one event will also change it for all of their events. 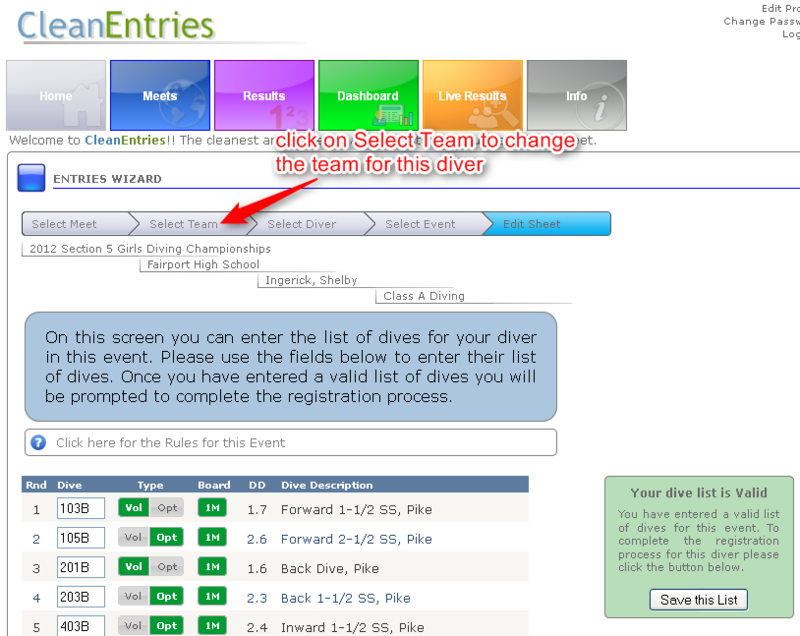 You need to visit your dashboard to view your divers who are currently registered. From the Dashboard screen you need to locate the diver whose team you want to change. Next to the divers name you will see three icons, one of which looks like a little pencil. Please click that icon. On the next screen you can select the diver you are changing the team for. They will have a blue 'R' icon next to their name which signifies that they are already registered in this meet. If the diver is not listed then you can search for them using the fields provided. Just click on the divers name to continue. You will then be taken to the dive sheet screen where it will show their list of dives for the meet. Since they've already registered, their dive list will be valid. You just need to click the 'Save this list' button and you're done.